Heat oven to 350°F. 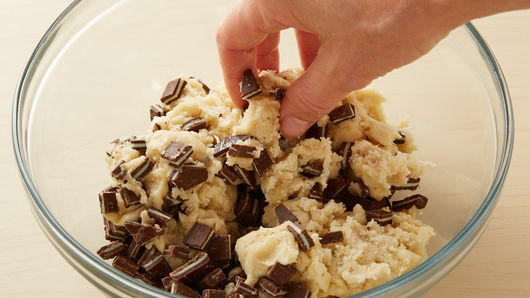 In medium bowl, break up cookie dough. Stir or knead in 3/4 cup chopped candies. 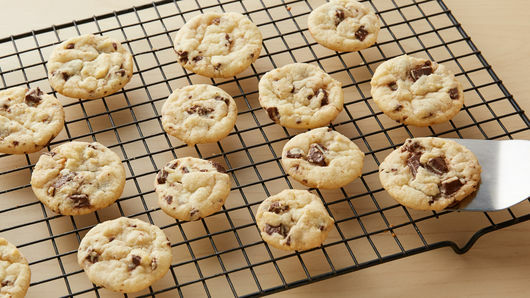 Shape teaspoons of dough into balls; place 1 inch apart on ungreased cookie sheets. Bake 9 to 11 minutes or until set and edges are light golden brown. Cool 1 minute; remove from cookie sheets. Cool completely, about 15 minutes. In small bowl, mix frosting ingredients until smooth, adding enough milk 1 teaspoon at a time until desired spreading consistency. Spread 1 teaspoon frosting on each cooled cookie. 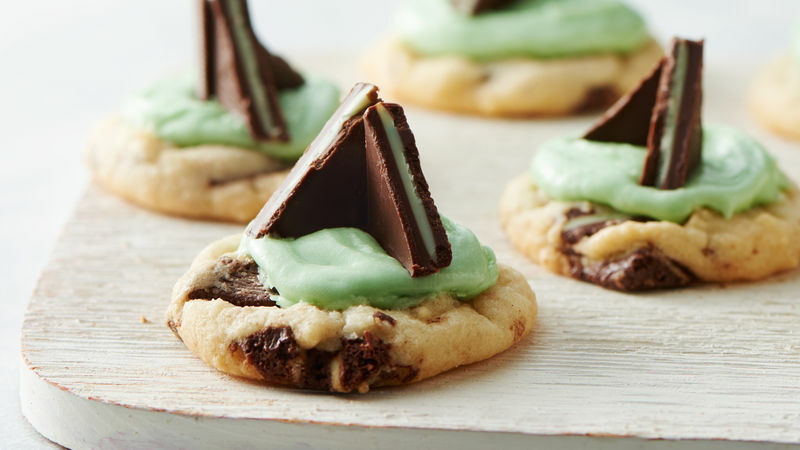 Cut each créme de menthe candy in half crosswise; cut each half diagonally into 2 triangles. 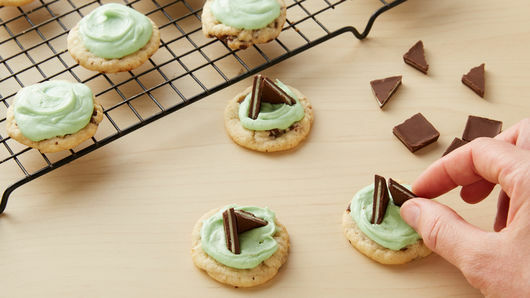 Garnish each cookie with 2 candy triangles to form a tree. For added color, roll the balls of dough in green sugar before baking.